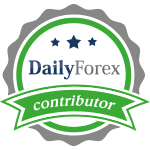 PaxForex Trading Recommendation are published every day over at PaxForex and I want to bring them right to you as well. Follow them if you want to get on board and earn over 1,500 pips every month. Feel free to give your feedback and share your success stories here.